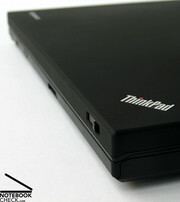 Until now the Thinkpad T-Model from Leonovo, which was enhanced after the short ending -p, set the standard for professional users with high performance demands. After a complete overhaul of the Lenovo product lineup, coincident with the launch of the Intel Centrino 2, Lenovo is now starting a few new notebook series. Among them are the new mobile workstations with the labels W500 and W700, which are meant to replace the Thinkpad Txxp models. In total, five different series make up the new Thinkpad model lineup. 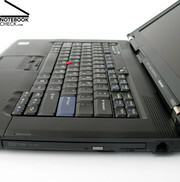 The entry class comprises the SL series, which should keep the Basic Thinkpad advantages at an attractive price. Followed by the well-known R-series, which currently boasts a larger equipment lineup. The T-series was upgraded to a true multi-purpose machine due in part to a function that switches between integrated and dedicated graphics cards for both mobile applications and high performance needs. The new W-series is ultimately designed specially for professional graphic designers who want maximum performance paired with practical mobility. 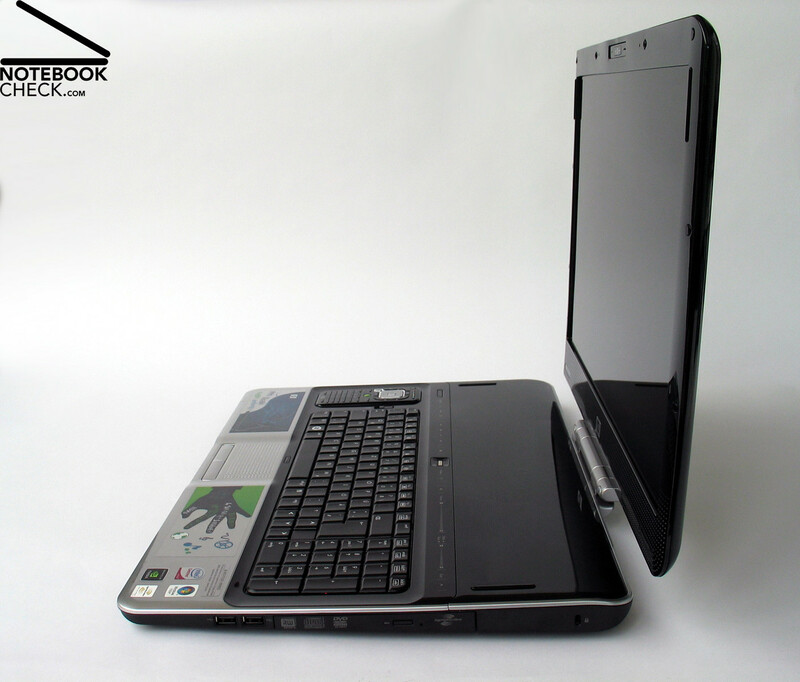 The X-series from Lenovo comprises the familiar compact buisiness notebooks with a particular focus on mobility. 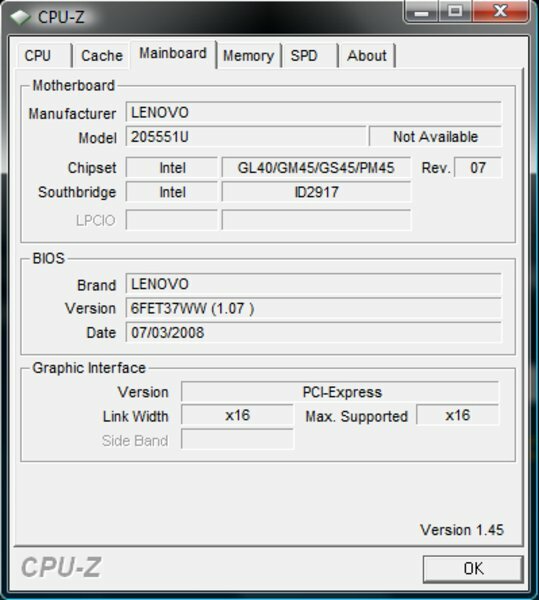 Note: The Thinkpad W500 available to us contained different hardware than the configurations for sale (ATI Radeon HD3650 graphic card). The directly affected areas of performance, emissions, and battery life were, for the time being, disregarded for this reason and will be amended upon the availability of an adequately equipped sample. Outwardly, the Lenovo Thinkpad W500 barely differentiates itself from the familiar T-model. This applies to the case design as well as to the choice of material and the texture of the housing. The form of the W500 appears to be familiarly practical, with straight edges along the sides and a strictly geometric design. The case was well thought-out based on important ergonomic principles. 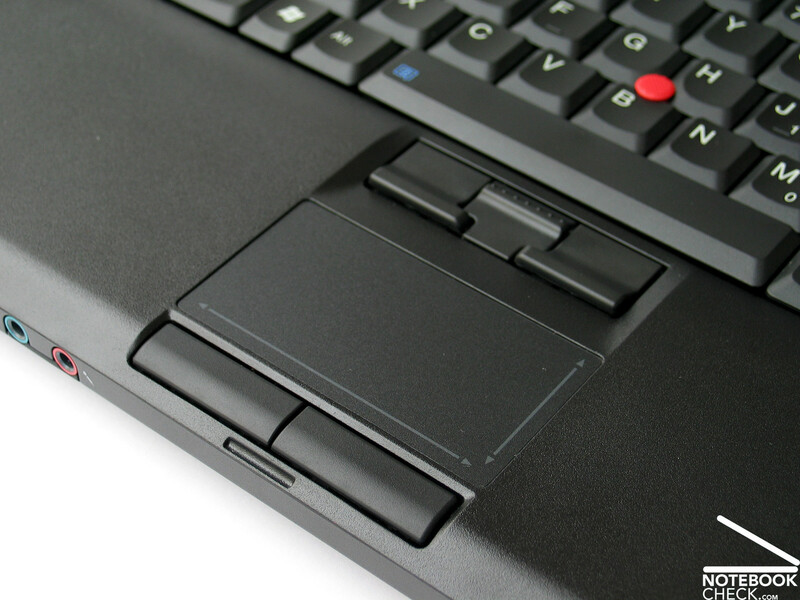 This reveals itself partially on the front edge of the base unit at the edge of the keyboard, particularly the cursor buttons, as well as at the touchpad trackpoint combination. In terms of the choice of material, the Thinkpad W500 brings two different components together. On the one hand are the robust metallic pieces of the housing tray and the display cover, and on the other hand, the plastic pieces on the inside of the notebook, that still exhibit the traditional IBM plastic charm. The most convincing piece in terms of feel is, above all, the metal component, particularly the display cover, which was produced with a velvety-soft surface. This also makes it resistant to noticeable scuff marks. The plastic beneath the heel of the hand with the similar lightly roughed surface feels quite nice, but it can give the impression that it is not the same high quality as the other pieces, primarily due to the dull sound it makes upon rubbing or knocking on it. Next comes the fact that, under selective pressure, only minimal deformations occur, although one should note that a few creaking noises were produced. The underside of the base unit is also comparatively stable. 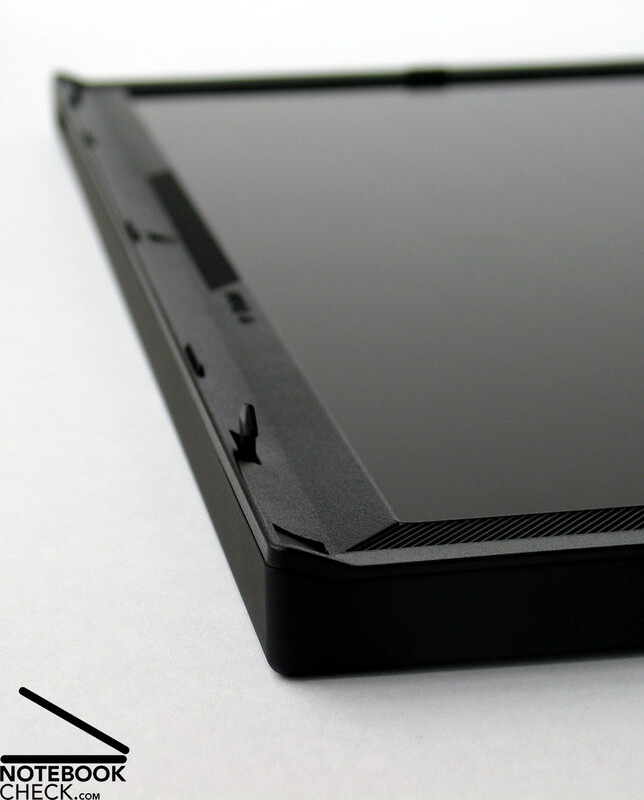 One familiar strength of the Thinkpad line is the extremely robust display, the back cover of which can withstand very high compressive forces. As with the Lenovo Thinkpad X300, it is possible with the substantially larger W500 to grip the notebook by the display and raise it up from the base without problems. This prevents excessive deformations or picture irregularities on the active display. There is also nothing different about the massive metal hinges on the display, which both hold the screen in a stable position and guarantee a long and defect-free life for the device. In the closed position, the display is encompassed in a clamshell design, to which the base unit locks into nearly hermetically. The locking latches are positioned far apart from one another and protect the display agains the intrusion of foreign particles into the inside of the device. 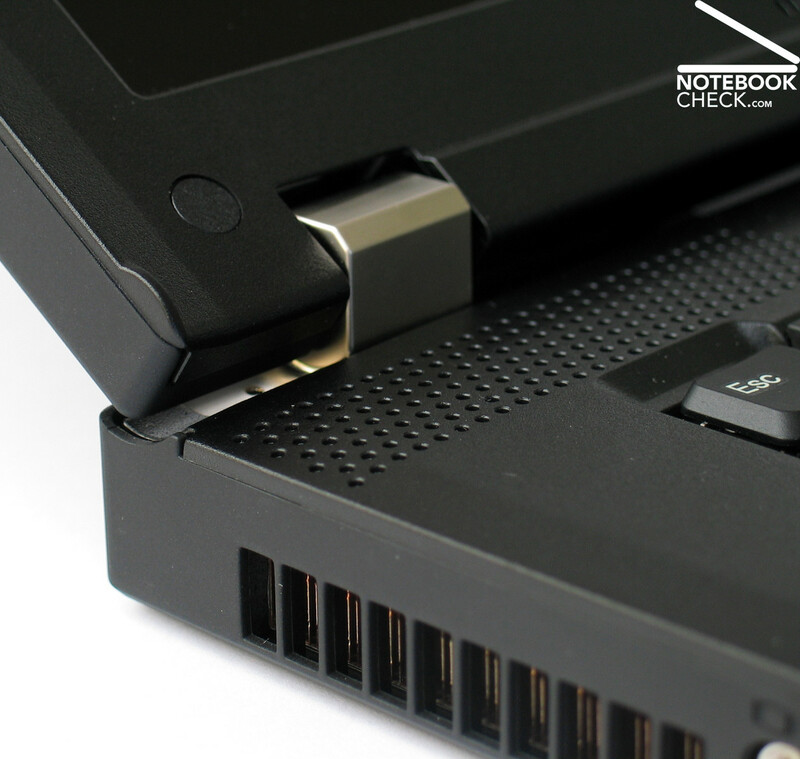 An important interface feature for a business notebook is the docking station. With it, the W500 can be connected to a series of available docking-stations, and external monitors, networks, printers,… etc. can be disconnected quickly and painlessly from their office environment. After ending the mobile application, one can simply push the device back into the docking solution, and all the external devices will promptly be ready to use, again. The additional interfaces provided directly on the notebook are concentrated in the first row on the left side of the housing. The right side, for instance, holds only the disc drive and the modem interface towards the back. The rear side of the device is occupied by a Kensington lock and the network port. 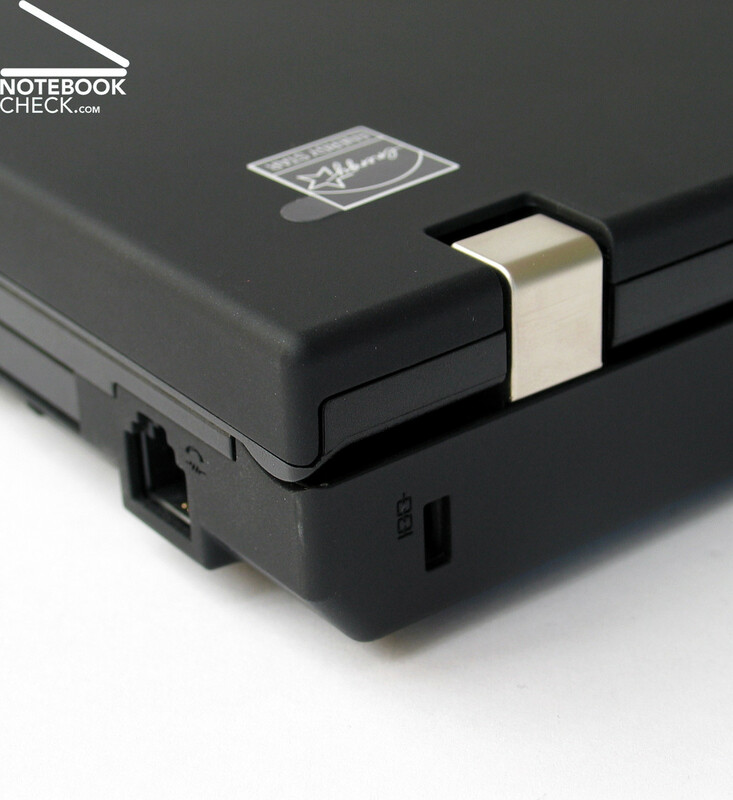 The battery plays a central role here, as it is inserted into the notebook from the back. This has the advantage, for example, of allowing the W500 to be equipped with an optional 9-cell battery, which can extend the life of the device by up to 50% in comparison to the standard 6-cell battery with a capacity of 56.16 Wh. However, this sticks out about 2-3 centimeters from the back of the device. The front edge contains a Firewire 1394a port, a hardware switch for the control of the integrated WLAN module, as well as both audio ports (microphone/LineIn, headphone/LineOut). Aside from these, the W500 has a 7in1 media card reader on the front edge with which the most popular memory card formats that are used in cell phones and digital cameras can be read. 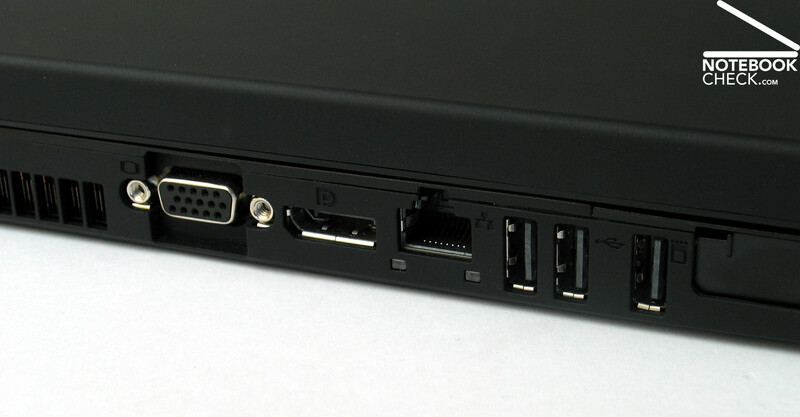 The left edge consequently contains all the remaining ports, which facilitate use of the device as a workstation. One of these is, for example, the much-used analogue display port, which still constitutes a common solution for connecting video projectors. Nevertheless, Lenovo has already taken a step into the digital era and equipped the Thinkpad W500 with a new digital display port. Besides an oft-cited advantage of the display port 1.1, which is a considerably smaller build size in comparison to the DVI-port and allows for implementation in compact models, the port also offers compatibility with VGO, DVI, and HDMI. The adapters necessary for this are available on the market. Depending on the specifications of the ports, the new interface should also guarantee support for external monitors up to 30" and a resolution of up to 2560x1600 pixels, which has been the case with HDMI ports since version 1.3. Next to the connection on the display port is the input for the LAN connection as well as three USB ports that sit relatively tightly together. 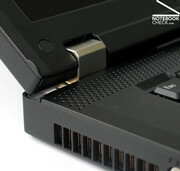 Towards the front, the reliable combination of ExpressCard and PCCard slot for diverse extension modules can be found. One thing that should be said about the design of the individual ports is that they are, above all, arranged for right-handed users. Almost all of the ports are placed on the left side of the housing. So it will probably be unpleasent for left-handed users. However, as long as the notebook is organized with an appropriate docking station, this arrangement shouldn't be a problem. Also not especially pleasant is the arrangement of the three USB ports, which are compressed together on the left side. If at least one of them were on the right side instead, it would assuredly be more helpful. Equipped with Intel's new Centrino 2 platform (Montevina), the Lenovo Thinkpad W500 possesses a one gigabit network adapter (Intel 82567LM) as well as hardware on the cutting edge in terms of wireless communication technology. Our test sample here was equipped with an Intel WiFi Link 5300 AGN module. In contrast to the Intel 5100 WLan module (max. 300 Mbps), the 5300 module can reach transfer rates of up to 450 Mbps. 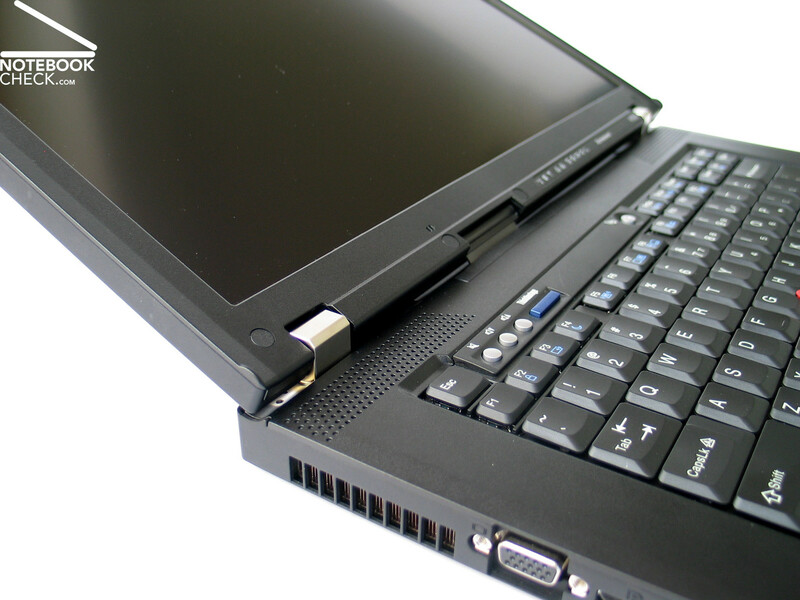 Part of the basic equipment pakage of the W500, as with all other Thinkpad models with the exception of the R-series, is an integrated UMTS broadband module. 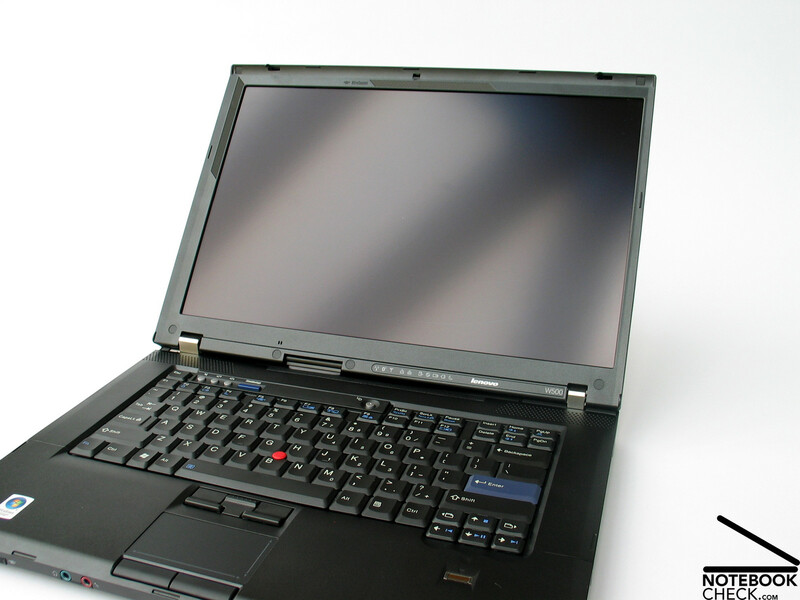 Provided you have the appropriate contract with a local carrier, the Thinkpad W500 can be connected to the internet and used in mobile operations nearly without limits. One piece of standard equipment is Bluetooth 2.0, which allows, for example, for the transfer of information to and from a cell phone, organizer, or PDA. An absolute "must" for a business notebook like the Thinkpad W500 is an adequate collection of diverse security features. To this end, the notebook provides an integrated fingerprint scanner, with which access to the notebook, unique user accounts, or password inputs can be managed. 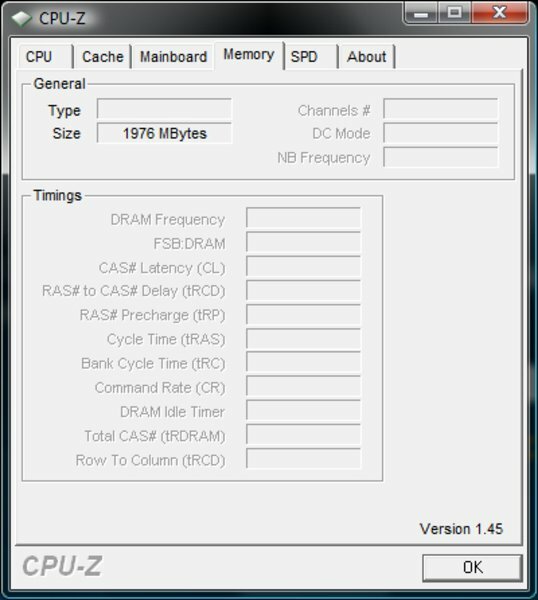 The integrated TMP v1.2 chip provides security for your data as well, so long as its locking features are used. In addition, the W500 provides a whole array of factory installed software, like, for example, Intervideo WinDVD, Roxio Creator, or Adobe Acrobat Reader, as well as the popular Thinkvantage Tools, which facilitate compatability with the device, especially the execution of the most varied settings (Access Connections, Power Manager, Rescue and Recovery,…). 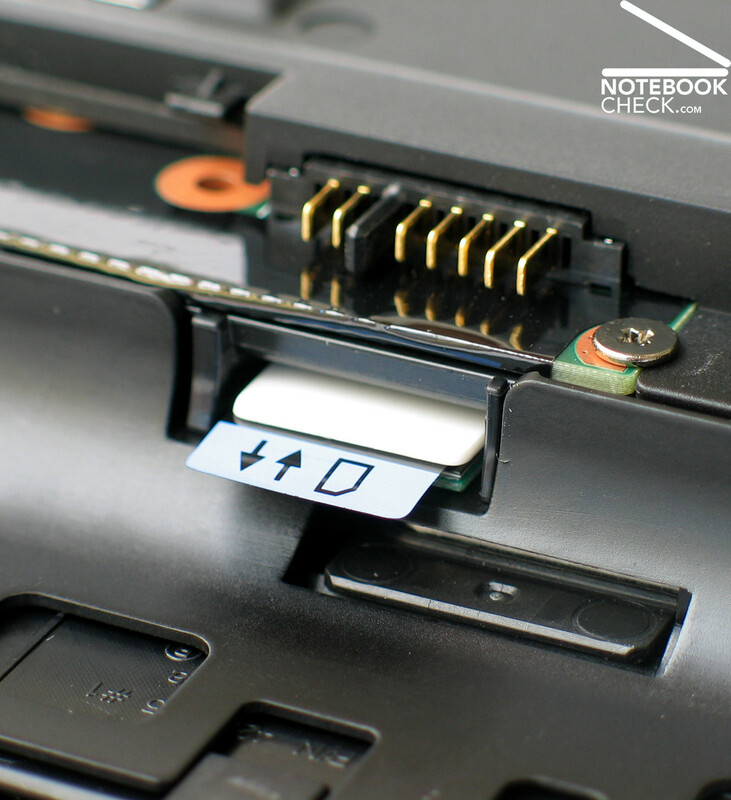 According to Lenovo, a webcam can also be optionally installed in the device. Our sample merely employed the popular ThinkLight, a white LED on the upper frame of the display that can illuminate the keyboard from above. 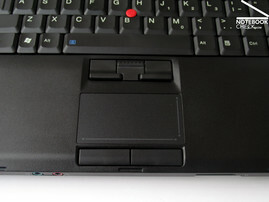 The keyboard of the Lenovo Thinkpad W500 is also reminiscent of the older designs in terms of the keyboard, at least as far as the layout is concerned. The installed keyboard unit has the key groupings typical of the Thinkpads for the F-keys and the diverse function keys above the standard row of numerals. In order to preclude possible misunderstandings, however, it must be noted that our test sample had an English-speaking keyboard layout, so the enter key only took up one row. Variations one should note in the German-speaking layout are also the presence of umlaut-keys. Something that needs getting used to with almost all Thinkpads is the placement of the FN and ctrl keys in the bottom-left corner. One other peculiarity during the test was also that the keyboard unit was partly, although very considerably, bowed. 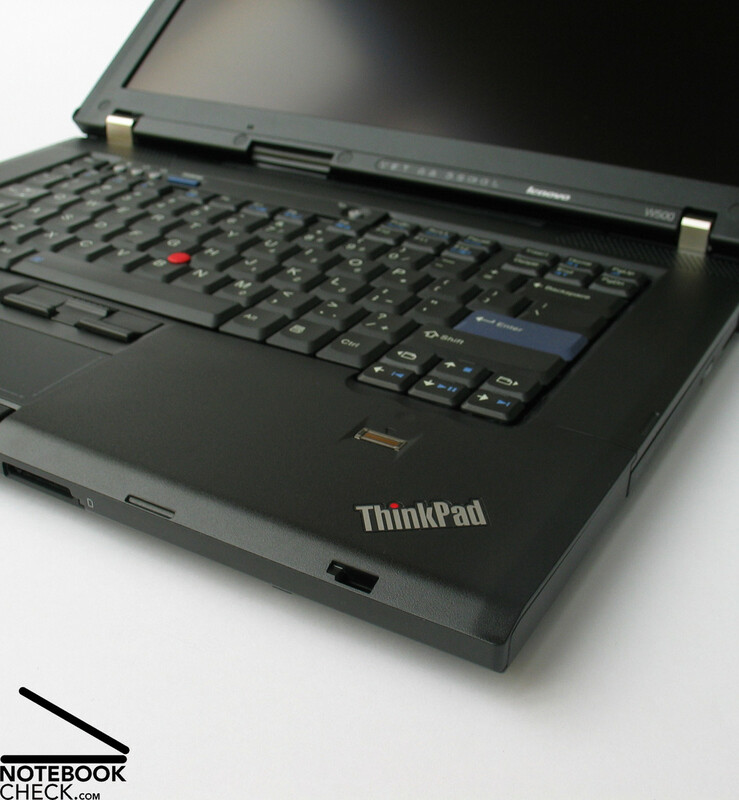 While the observable deformations under pressure were greatly contained in the central display area, an above-average buckling that is thoroughly atypical of Thinkpad could be observed in the left side of the keyboard and especially on the right side above the disc drive. 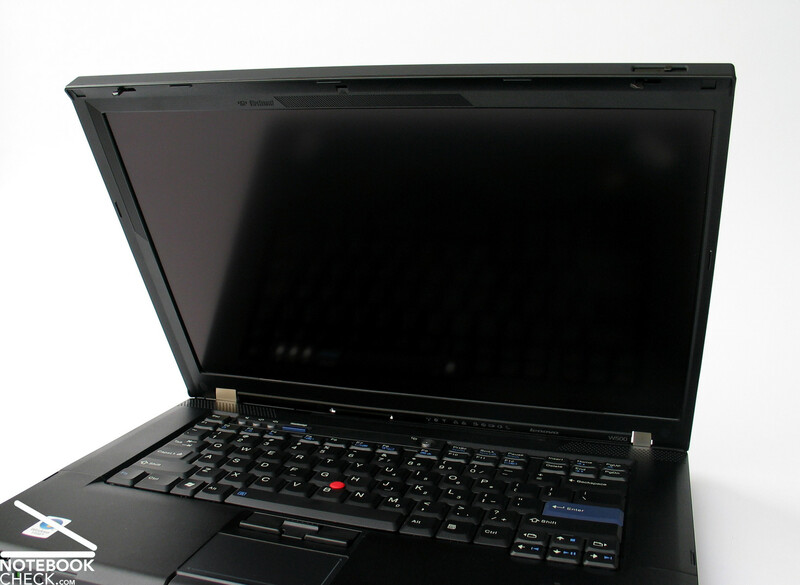 Even though the effects of this bowing weren't noticeable while typing, the impression of the quality of the Thinkpad W500 was nevertheless lowered. The feel of typing on the Thinkpad W500 can be described as familiarly pleasant, and the quick but not abrupt feeling while striking the individual keys as well as the pleasant sound while typing is an important feature of the Thinkpad keyboard. Unfortunately, an extremely important key on the W500 defies this philosophy. Under pressure, the spacebar strikes the keyboard tray with a loud clack and stands out negatively both in terms of the feel as well as the sound of typing. 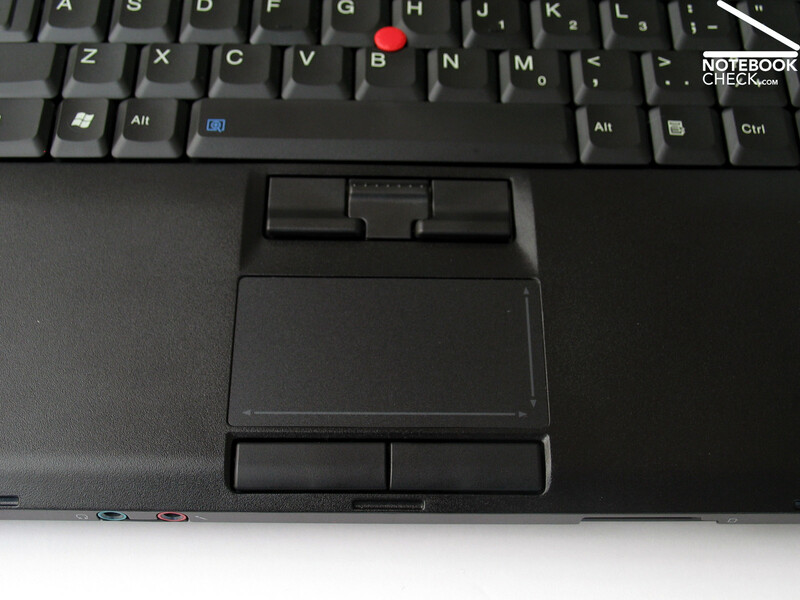 The touchpad/trackpoint combination in the device offers familiar qualities. 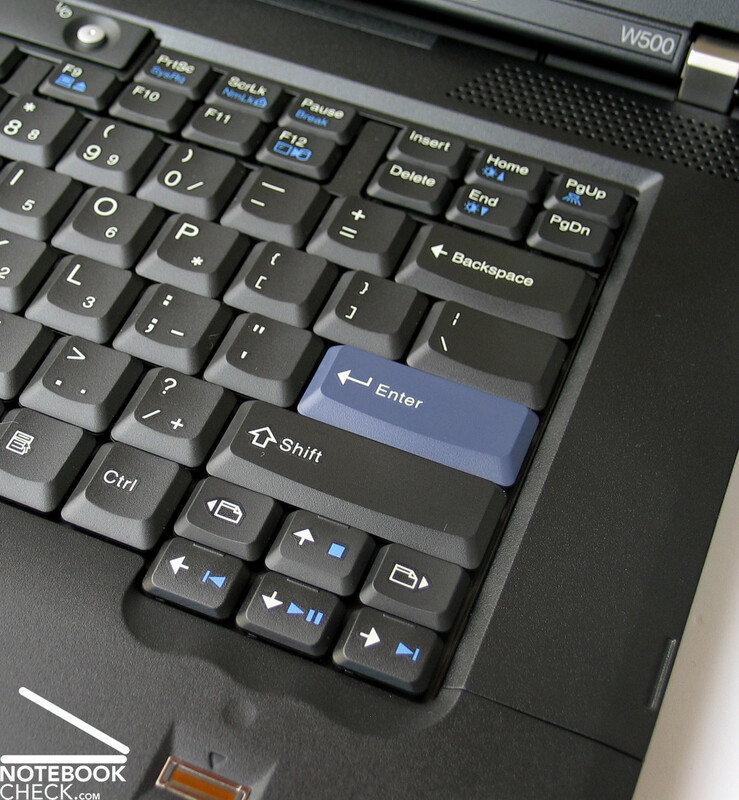 The touchpad, for example, has an extremely smooth 7.0 x 3.7 centimeter navigation surface with visually identifiable horizontal and vertical scroll bar areas. However, the mouse pointer can also be moved accurately and above all rapidly in the display with the red trackpoint. Lenovo currently offers two 15-inch screen variations on the US market: a WSXGA panel with a resolution of 1680x1050 pixels as well as a WUXGA display with a maximum resolution of 1920x1200 pixels, both with a matte non-glare display. 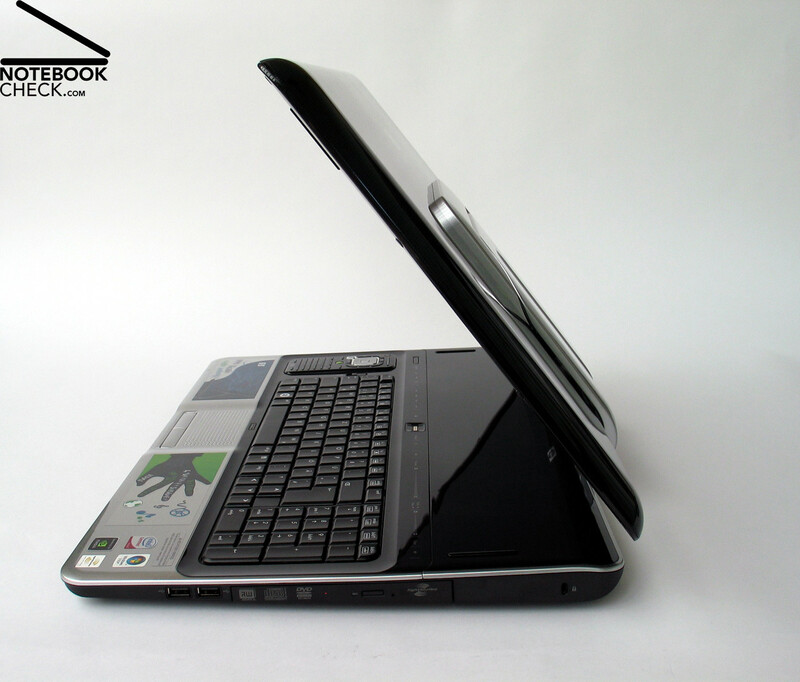 One can already recognize one characteristic of the W500 notebooks in the possible display variations. 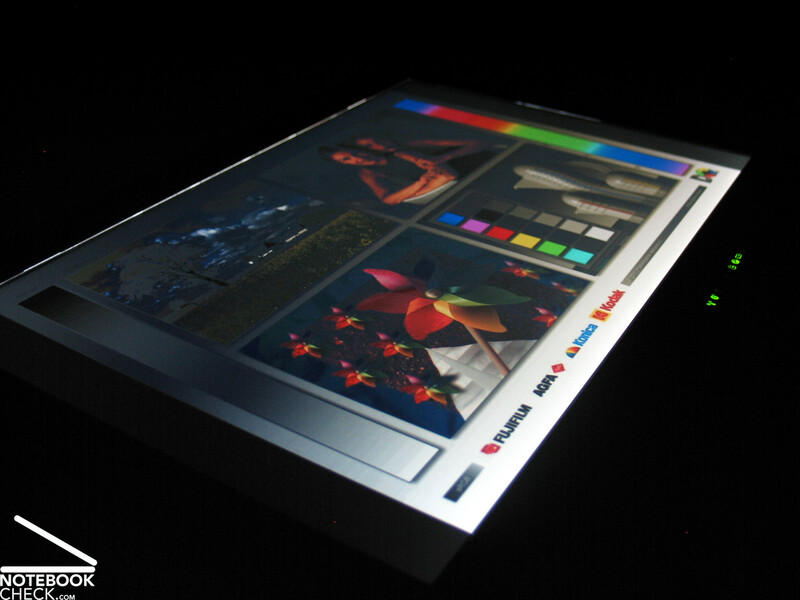 With two high-resolution panels, the device is exceptionally suited for use with CAD and graphics programs. They afford, for example, the ability to work simultaneously with many windows, as well as a good overview of desktops with numerous tools and toolkits. So positive was the first evaluation regarding display resolution that the brightness measurement of the WUXGA display panels installed in our test device can hardly match it. 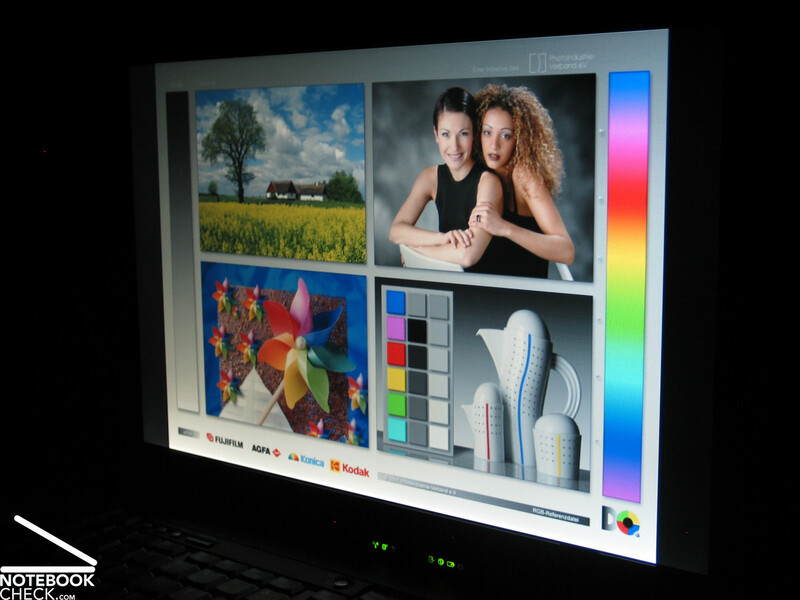 The maximum value for brightness in the display provides the panel in the bottom central area with 159.4 cd/m². 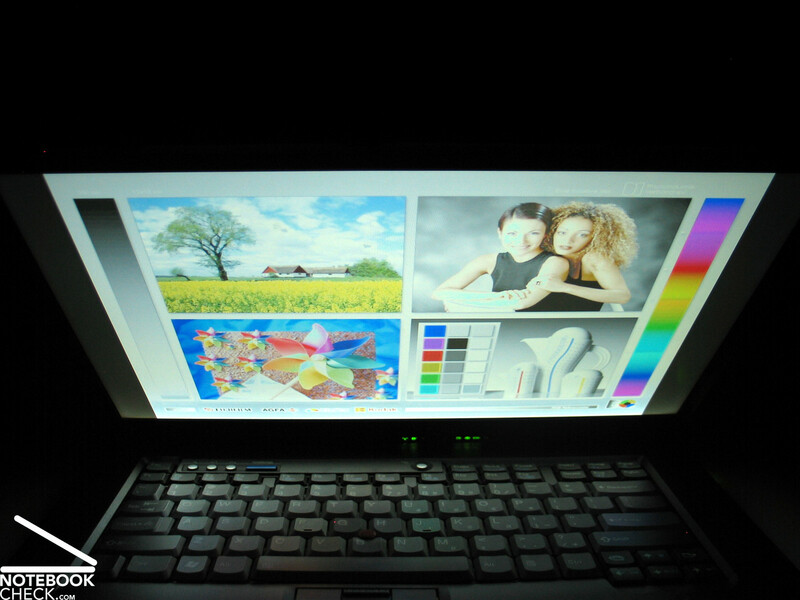 The brightness decrease in the upper corners brings the illumination of the screen all the way down to 78.4%. Subjectively, the brightness of the display also appears only mediocre, but it suffices for use indoors without problems. 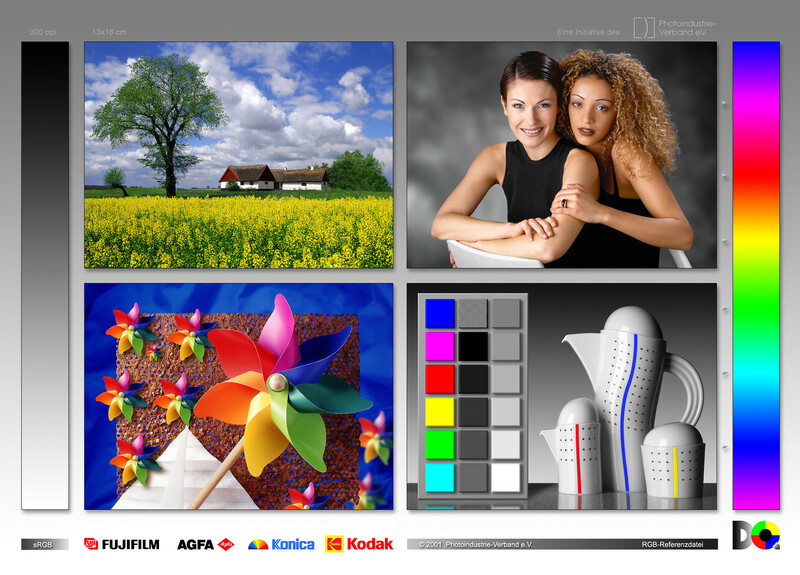 A good picture quality is provided by the high maximum contrast value, which the notebook reaches with a black value of only 0.28 cd/m²: 569:1. 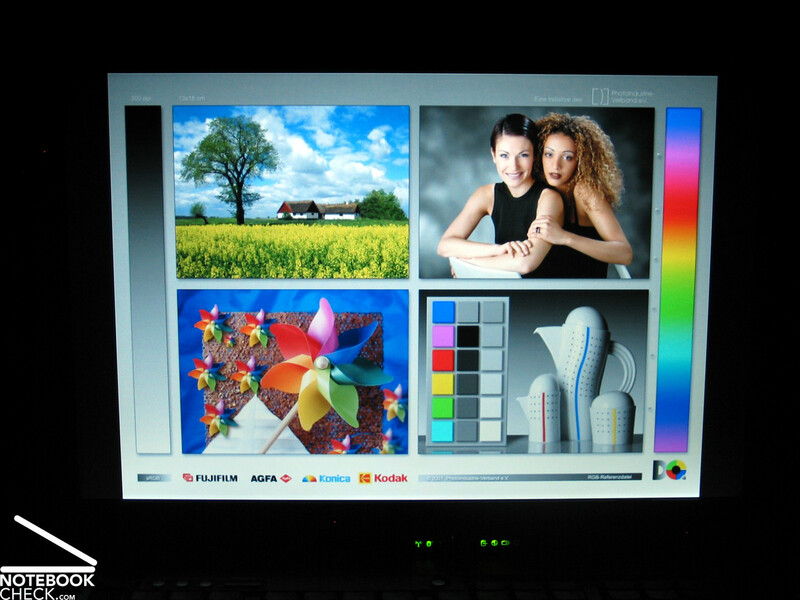 In the color settings test, with the help of the Spyder 3 Display Calibrator from Datacolor, it could be maintained that the Thinkpad W500 shows a picture that is too cool and blue-dominated in its uncalibrated state. While the viewing angle stability of the display in horizontal terms is thoroughly acceptable and provides a tolerably stable picture even at an awkwardly flat angle, a visible loss in contrast and color distortion in the picture appear substantially faster along the vertical angle. Because of this, it can be necessary every now and then during normal use of the notebook to readjust the display angle for a clear picture. 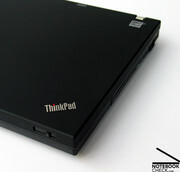 Unfortunately, only an internal pre-sample of the Lenovo Thinkpad W500 was available to us for testing. 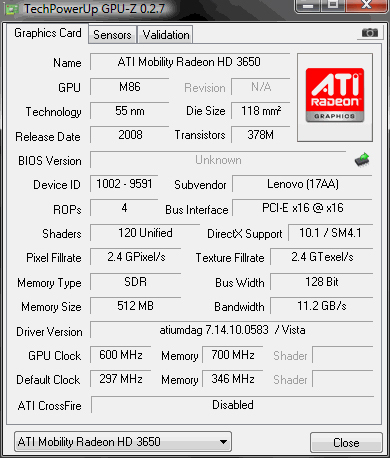 This was fitted with hardware components that were not specified for retail sale, among others an ATI Radeon HD3650 graphics card. Exact conclusions about the performance abilities of the system could therefore not be reached. 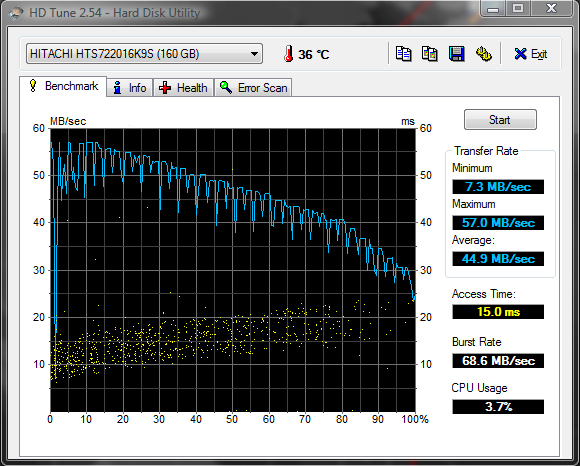 The W500 will, however, be equipped with processors from the current Intel Penryn line. 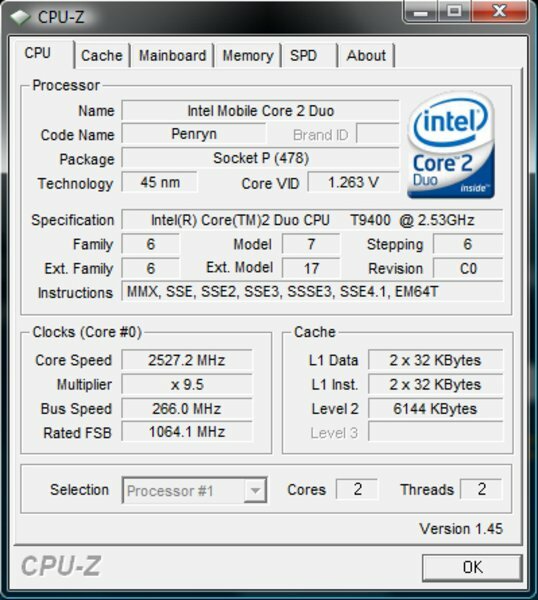 The CPU with the strongest performance that will be available is the T9600 CPU with 2.8 Ghz 6MB L2-Cache and 1066 MHz FSB. 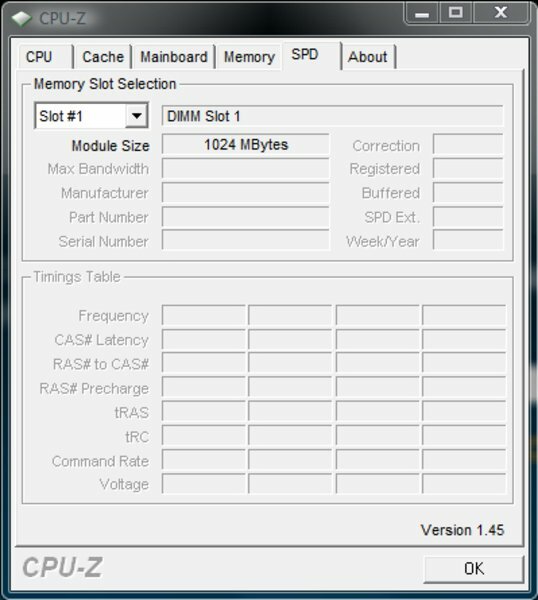 Detailed information on the current Intel Centrino 2 processor line can be found in this special article. 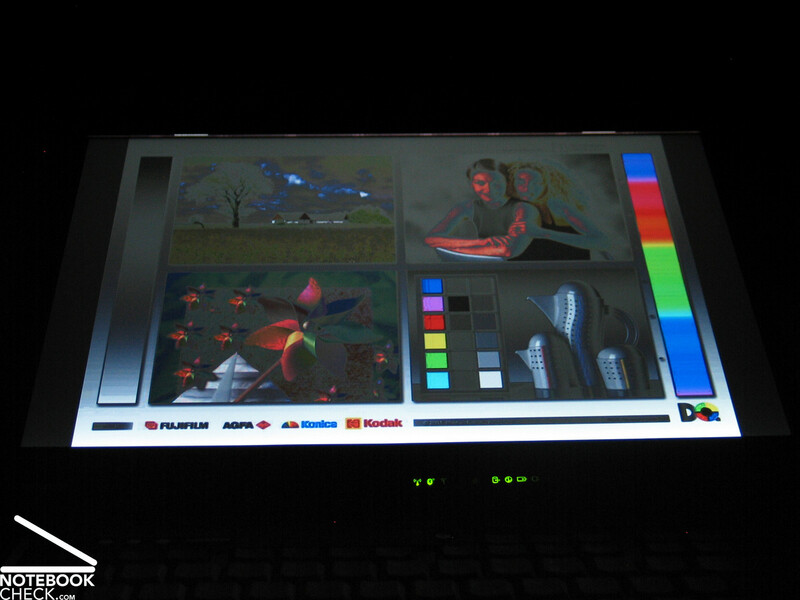 For the GPU, the Thinkpad W500 will use a Profi Graphics Card from ATI, a FireGL V5700 with 512MB video memory. This is a graphics card optimized for professional application, whose hardware is technologically based in the Consumer-Chip HD 3650 from ATI. 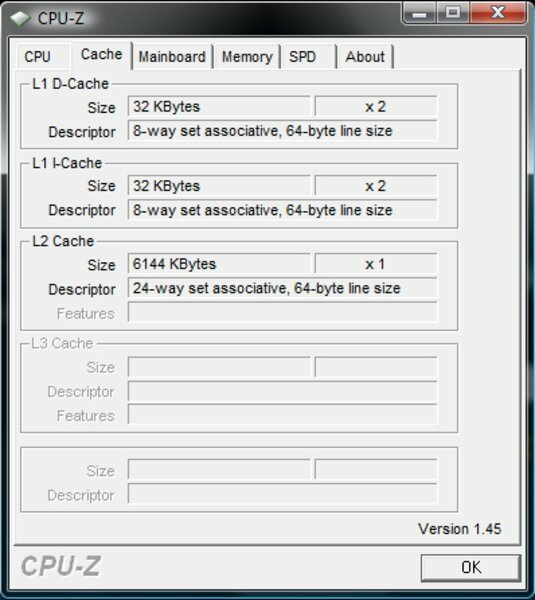 These perform particularly well in the CAD-relevant OpenGL performance category thanks to optimized drivers, most notedly in terms of performance technology in the consumer equivalents. 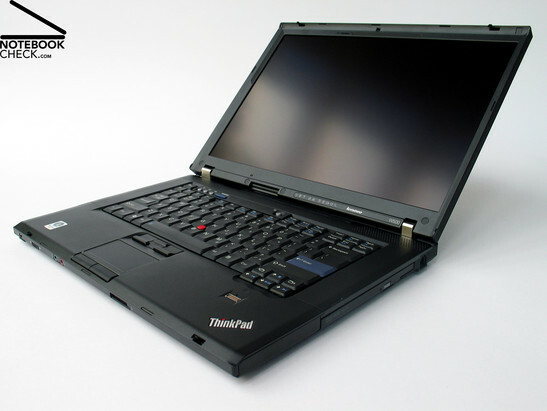 Although the Thinkpad W500's equipment package provided to us, with a T9400 CPU and ATI Radeon HD3650 GPU with extremely low emissions, stood out positively both with regard to volume as well as surface temperature, no concrete measurement data could be presented in this regard because of the unusual equipment. The test rubrics for performance, emissions, and battery life will be amended as soon as a new sample is provided with the equipment specified for retail sale. The Lenovo Thinkpad W500 brings with it no surprises in the way of casing and craftsmanship. Lenovo delivers a famously robust chassis in the classic Thinkpad design, which can score points above all because of it's ability to resist the stresses arising from everyday use. With the interface options offered, the new digital display port can be noted positively. With this, an external screen with a high resolution can be attached to the notebook at the best digital transmission quality without an optional docking solution. The serial integrated UMTS broadband module counts for bonus points, and allows for a wireless and mobile internet connection. Aside from the familiar feeling while typing of the common Thinkpad keyboard, which still stems from IBM times, and the layout that requires a bit of adjustment, the keyboard unit in our test sample unfortunately shows a few weaknesses. The keyboard unit in part noticeably bowed in under pressure, and the behavior of the spacebar upon striking leaves much to be desired. 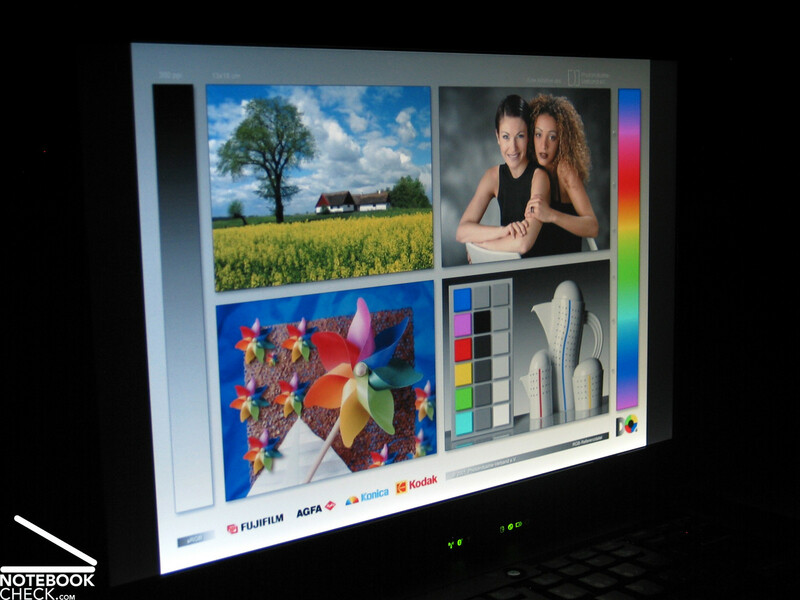 The display offered a large and clear resolution of 1920x1200 pixels, but, with a provided display brightness of, on average, 140 cd/m², was not very convincing. There are also drawbacks with the illumination of the panel decreasing to as little as 78.4%. To be fair, in all the points that have been spoken to, it must be said that the tests on this device have dealt with a pre-sample that is not specified for retail sale. Therefore, the possibility certainly exists that changes to the notebook will still be carried out. As soon as we are provided with an up-to-date device, we will naturally report once more in detail over it, and update the points of performance, emissions, and battery life. 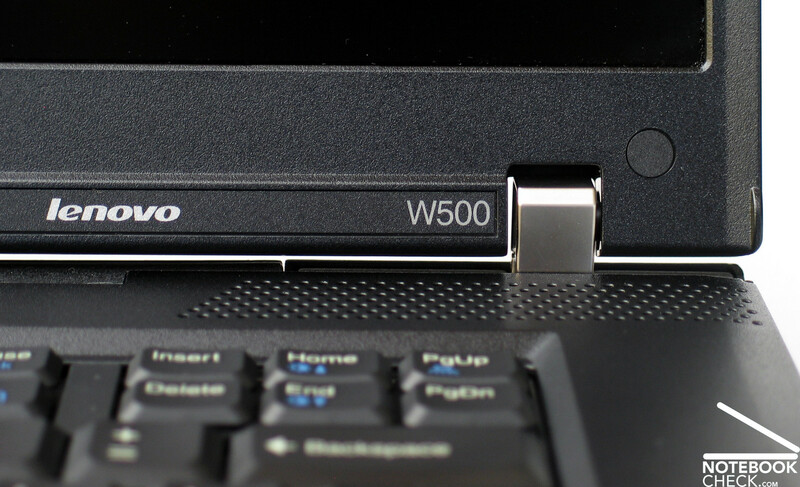 After the tried and true SL-series, Lenovo introduces another product to the notebook category with the W500. Unfortunately, the panel is not really convincing in terms of display brightness and illumination level. The display is available with a resolution of 1680x1050 or with a maximum of 1920x1200 pixels. The touchpad/trackpoint combination of the Lenovo Thinkpad W500 offers the usual qualities. Upon practical use, however, a highly probable deformation of the keyboard under pressure stands out. 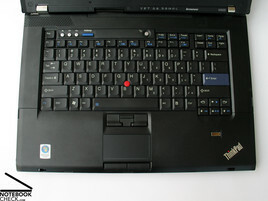 The keyboard appears at first glance to have no remarkable qualities, the usual key-groupings, and a layout typical of the Thinkpads. 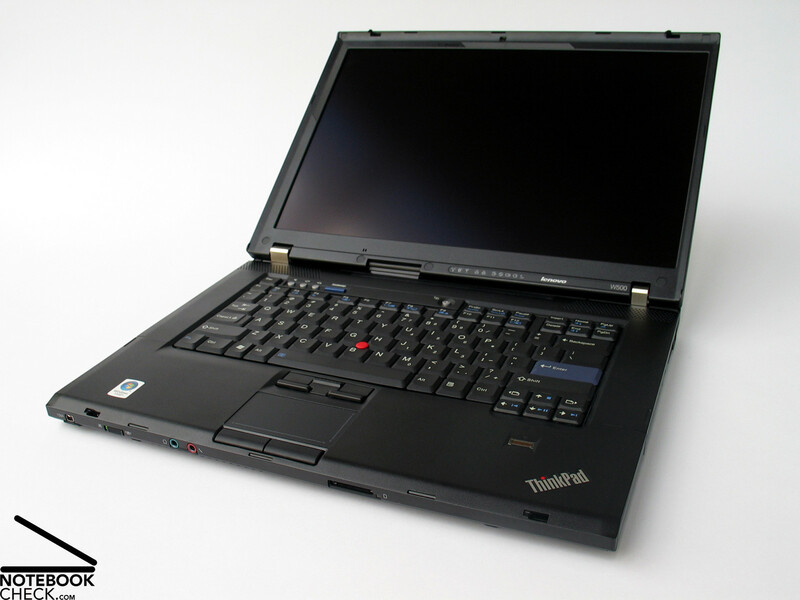 With the exception of the R-series, all the new Thinkpad models come standard with a UMTS module. A docking port allows for additional interface options. 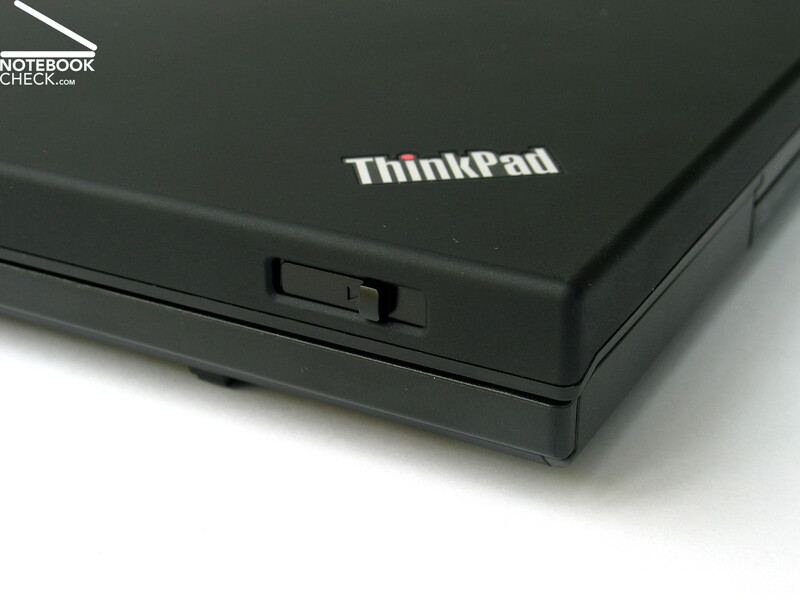 The Thinkpad W500 offers a new digital display port as well as 3 USB inputs directly on the device. 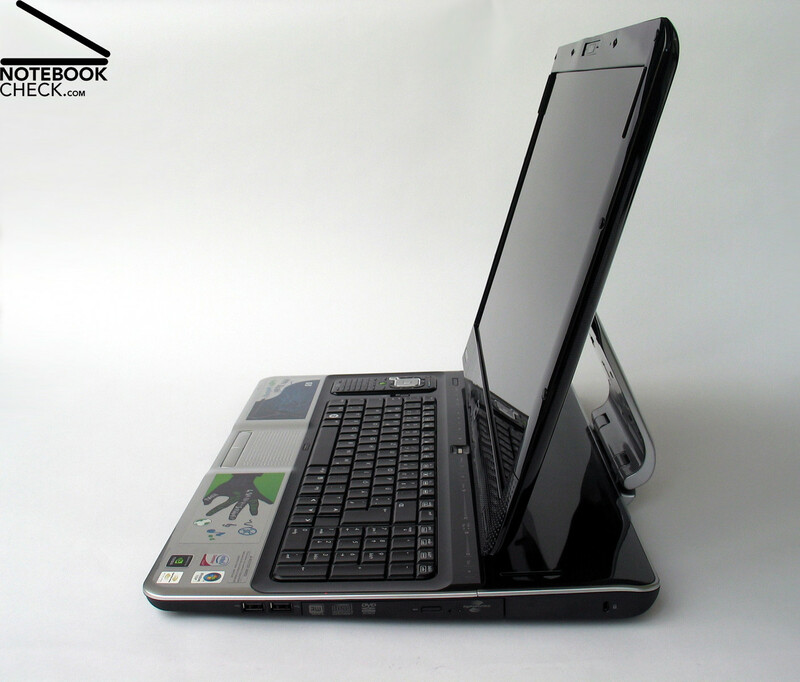 The clamshell design of the display offers additional security and protects the panel against accidental damage, as from a drop, for example. The display can also be securely shut, thanks to the double-latched lock. A worn out and teetering display or undersized hinges are practically impossible with this device. Another indication of quality is the massive metal hinges that hold the display securely in place. ...as well as concerning the craftsmanship and stability of the case, the new W500 is in no way inferior to the previous Thinkpads. 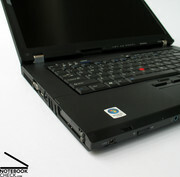 One can hardly notice any differences to the current T-series model in the case of the Thinkpad W500 notebook. The new workstations from Lenovo are specially designed for professional CAD and graphics users and offer a performance-oriented package. 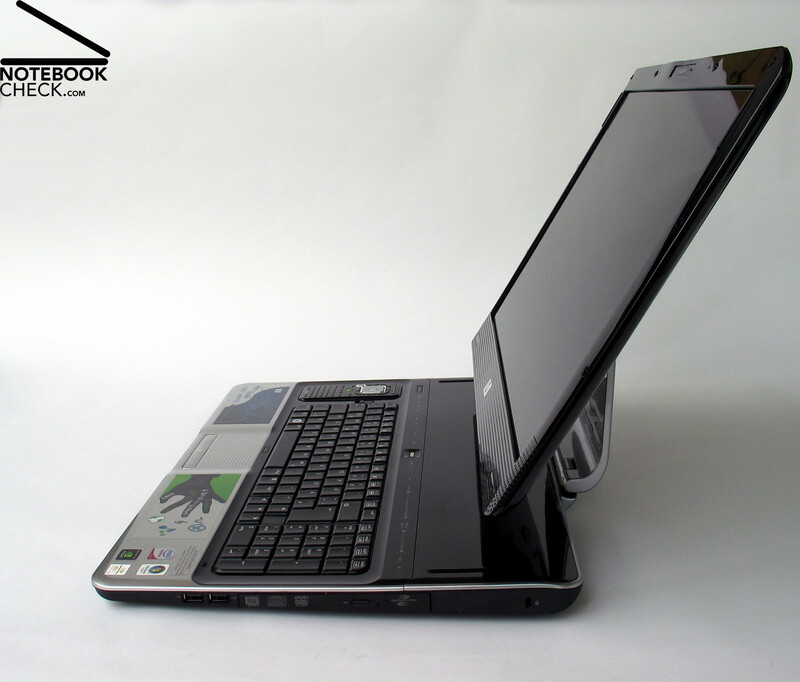 Outfitted with the performance-capable Intel processors and ATI FireGL v5700 GPU, the W500 is aimed above all at professional CAD users.